Makai Ocean Engineering, Inc. recently modified the popular telecom cable lay software, MakaiLay, to address specific issues experienced by the subsea power cable industry. 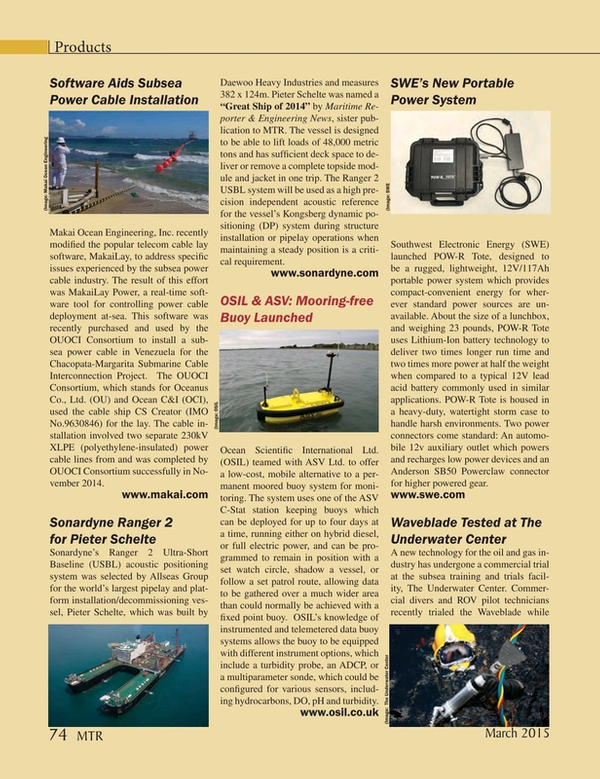 The result of this effort was MakaiLay Power, a real-time software tool for controlling power cable deployment at-sea. This software was recently purchased and used by the OUOCI Consortium to install a subsea power cable in Venezuela for the Chacopata-Margarita Submarine Cable Interconnection Project. The OUOCI Consortium, which stands for Oceanus Co., Ltd. (OU) and Ocean C&I (OCI), used the cable ship CS Creator (IMO No.9630846) for the lay. The cable installation involved two separate 230kV XLPE (polyethylene-insulated) power cable lines from and was completed by OUOCI Consortium successfully in November 2014.